We are extremely proud to announce our two Hoss Bennett Award recipients for the 2017-18 school year. 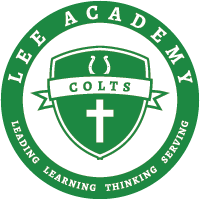 Quarter back and defensive back, Jacob Branch was the winner for Lee Academy. 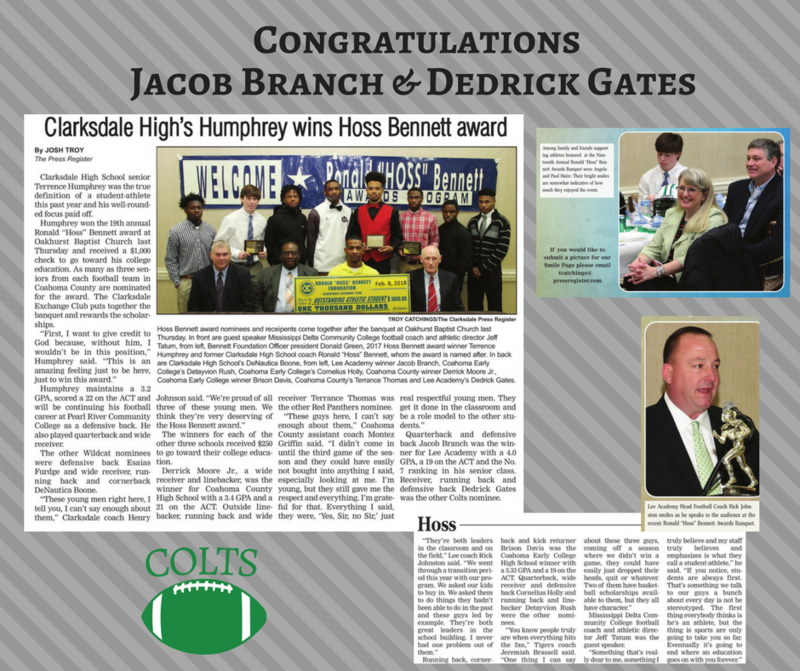 Receiver, running back, and defensive back Dedrick Gates was our other Colts nominee. The award is named after Coach Hoss Bennett, who became a legend coaching the Clarksdale football team after many years. The winner is based on athletic achievements, academic achievements, school spirit, and community service. The winner for each school earns a $250 college scholarship. The dinner banquet was held at Oakhurst Baptist Church this year.